Google Maps is not just a popular mapping program used by Google, but it is also one of the most popular maps used by web mashups. This makes Google Maps a very popular and versatile tool that is being put to use in a variety of ways from locating hard-to-find products to forecasting the weather. 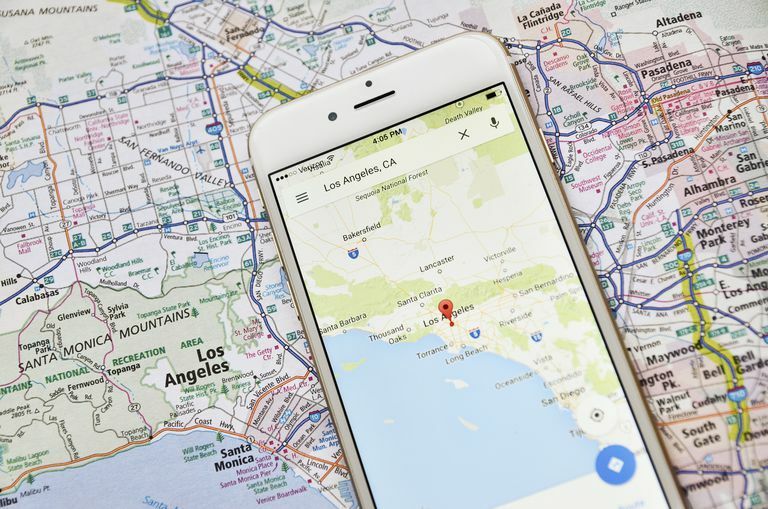 Learning how to use Google Maps is simple, and it will help you navigate the many different web mashups based on Google Maps. Even though some of these hybrids change some of the default behaviors of the program, learning how to use Google Maps will allow you to quickly adapt to small changes in the mapping program. While reading the following instructions on how to use Google Maps, try bringing up Google Maps in a separate browser window and practicing while you read. The easiest way to navigate Google Maps is by using drag-and-drop techniques. To accomplish this, you to move the mouse cursor to an area of the map, hold down the left mouse button, and while keeping the mouse button held down, move the mouse cursor in the direction opposite of what you want to show on the map. For example, if you want to the map to move south, you would hold down the mouse button and move the mouse up. This will drag the mouth northwards, thus revealing more of the map to the south. If the area you would like centered on the map is currently being displayed, perhaps towards the edge of the map, you can do two things to center it. You can click on the area, hold down the left mouse button, and drag it toward the center. Or, you can double-click on the area. This will not only center that area of the map but also zoom in one notch. To zoom in and out with the mouse, you can use the mouse wheel between the two mouse buttons. Moving the wheel forward will zoom in, and moving it backward will zoom out. If you do not have a mouse wheel on your mouse, you can zoom in and out using the navigation icons on the left side of Google Maps. At the top of Google Maps are a few buttons that change how Google Maps looks and operates. To understand what these buttons do, we are going to skip over the "Street View" and "Traffic" buttons and concentrate on the three connected buttons, "Map", "Satellite", and "Terrain". Don't worry, we'll come back to the other two buttons. Map: This button puts Google Maps in "map" view, which is the default view. This view is similar to a street map. It has a gray background. Small roads are colored white, larger roads are yellow, and major highways and interstates are orange. Satellite: This button paints Google Maps with a Satellite overlay which allows you to see the area as it is seen from above. In this mode, you can zoom in until you can make out individual houses. Terrain: This button highlights differences in terrain. It can be used to determine whether an area is flat or rocky. This can also give an interesting view when zooming into a mountainous area. Traffic: The traffic button is very handy for those who have a commute that is often delayed because of slow-moving traffic. This view is for zooming into a street-level view so that you can see how traffic is doing. Roads that are moving well are highlighted in green, while roads that are experiencing traffic issues are highlighted in red. Note that street view will only work on streets that are highlighted in blue. You can also use the navigation menu on the far left side to manipulate the map. This provides an alternative to using drag-and-drop to navigate. At the top of this navigation menu are four arrows, one pointing in each direction. Clicking on an arrow will move the map in that direction. Clicking on the button in between these arrows will center the map on the default location. Below these arrows ​are a plus sign and a minus sign separated by what looks like a railroad track. These buttons allow you to zoom in and out. You can zoom in by clicking on the plus sign and zoom out by clicking on the minus sign. You can also click on a portion of the railroad track to zoom into that level. Google Maps can also be navigated by using keyboard shortcuts to move the map and zoom in and out. To move north, use the up arrow key to move a small amount or the page up key to move a larger amount. To move south, use the down arrow key to move a small amount or the page down key to move a larger amount. To move west, use the left arrow key to move a small amount or the home key to move a larger amount. To move east, use the right arrow key to move a small amount or the end key to move a larger amount. To zoom in, use the plus key. To zoom out, use the minus key.